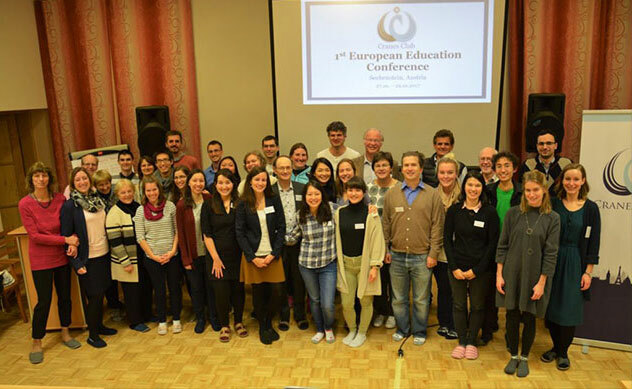 From the 27th to 29th of October 2017 the 1st Cranes Club Education Conference took place in Seebenstein, Austria. It was attended by 45 educators, parents and interested people from 11 different countries. Around two thirds of the attendants were second generation and the rest were first generation members and one guest. The main aim of the conference was to bring together like-minded individuals to discuss issues in the field of education and exchange innovative ideas that can help change and revolutionize the education system and inspire projects in this field. early education, communication, prenatal education and alternative teaching methods (Montessori, Lais, Pikler). The conference also allocated time for networking, both on the main day and on the last day of the conference. The final day of the conference provided the participants with time to reflect on the conference and discuss future projects and ideas for the next conference. One of these discussions generated a big debate about the idea of creating a school for blessed children in Europe. Moreover, several other projects were voiced, including the plan to hold a Sunday School Teacher Training Workshop by Tim Atkinson, which is now on its way of being implemented. The overall feedback of the participants was positive and included an array of suggestions for the next conference and other future events. We are confident that this was only the beginning of great series of conferences and hopefully many projects and events generated as a result from that.